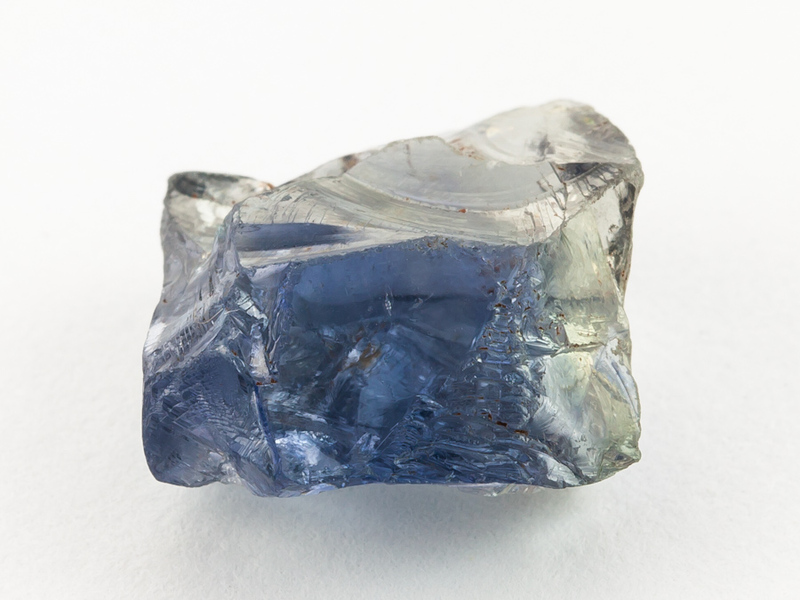 Exceptionally clean and untreated, this sapphire is one of a kind. The best piece I have ever seen produced by the Umba Valley. Visibly cobbed from a larger crystal, there is colour zoning from deep blue to a pastel blue/green. There is a small cloud of rutile silk to one side of the stone. The stone is well shaped and will produce a chunky cushion. Untreated sapphire is a prized commodity and this is one the the best examples I have seen from any locality. Be sure to see the other views of the stone. The colour zoning is not quite as pronounced as in the photographs.